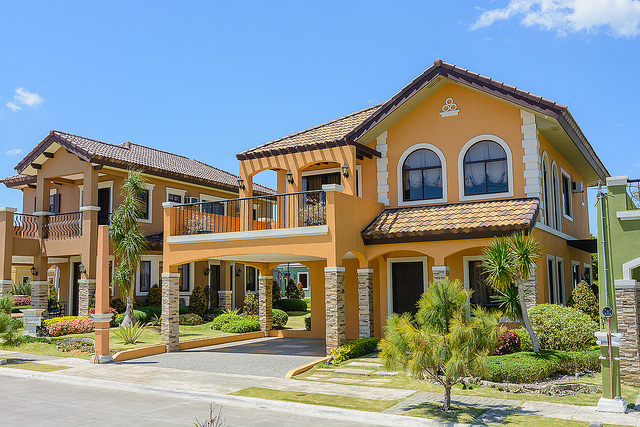 With the real estate industry continuously showing an upward trajectory and being one of the Philippines’ major sources of economic growth, many people understandably are venturing into the business, either as owners of rental properties, real estate speculators, or even small to mid-scale property developers. Just like in any business, however, knowing where you stand in the market is useful as it can help you identify the value of the properties that you have. You’ll also be aware of your competitors and, thus, can create a plan or strategy on how you can make your properties stand out in the market. To further help you on investing on real estate, best to keep in mind the following tips, put together by real estate website Lamudi Philippines. It’s essential to keep an eye on what’s happening around you, and on the real estate market itself. Being in the know helps you plan your strategy in property investing in regards with the current events. There are all sorts of things that you’ll hear in the news that may play a factor in your investments, such as natural calamities, accidents, crimes, price hikes, or power outages. These kinds of news can help you narrow down the areas of the properties that you want to invest in, saving you time, money, and trouble from learning all these yourself only after you’ve purchased them. Furthermore, keeping up with the news gives you updates on new real estate laws, recognitions and rewards, property launches, stock market, and many more. Knowing the latest and what’s trending in the real estate market can help you decide on how you can make your properties’ prices competitive. Have you heard of the saying “knowledge is power?” Since there’s truth to it, never hesitate in asking questions because you might just find answers that work in your favor. Liking that new duplex down the street? Ask if it’s for sale. And if it isn’t, then you might have just planted the idea of selling it to the owner’s head. When investing in a new property, asking questions about it before making that big purchase will help you determine if you’ve chosen the right property for you. Knowing information about the developer or owner, its history, and environment could save you from any headaches in the future. Ask the neighbors or past tenants, or go online to see if there’s any additional information that you can get that could push you toward—or prevent you from—buying it. Being armed with knowledge will most likely make you succeed in the business, especially if you know how to properly use the info you gained. You can avoid being duped by anybody if you know the ins and outs of the business you’re in. In an experiment called Iowa Gambling Task, neuroscientist Antonio Damaso of the University of Southern California found out that our gut feelings play an important role in decision-making because we sense when something does or does not feel right—and in effect, our instincts often nudge us toward success when acknowledged. Our instincts can be very helpful, especially when we are faced with the challenge of persuading someone to agree with our proposal and go with our plans for the property, or even when closing deals. For example, instincts help us identify when somebody is already on his breaking point, and then we can choose the right words to say that can totally turn the situation into something positive. Instincts in real estate help us respond accordingly; they tell us whether to accept or turn down property offers, or push us to abandon a property that gives off negative vibes. Keeping a substantial amount of friends and acquaintances is important when you’re in the industry of real estate. When you’re looking for properties to invest in for business, talking to different types of people brings you a step closer to your goal as it might lead you to the person who knows just the property you’re looking for, somebody who can tell you about that condo you’re eyeing recently, or a friend that’s ready to look for a place where they can settle down. Connecting with people gives you opportunities, branding, and exposure, which are all highly beneficial to your investments. People in your network definitely contribute to your achievement, whether or not their role is pivotal.